The Newest Rant: I Loved Visiting, "Heroes and Villains," in Cortland, NY! I Loved Visiting, "Heroes and Villains," in Cortland, NY! I of course lived in Cortland, New York, from the Summer of 2003 to about August of 2011 when I moved to the Saint Louis region. I was actually living in Cortland when I began the blog and at the start of this Summer we have had the chance to take Clarkson to Cortland for his first-ever visit to where my parents (his grandparents) and my sister (his aunt) live. He's been enjoying crawling around my folk's house and witnessed the big Cortland Dairy Parade as well. While we've been here in Cortland I had the chance to visit the local comic shop, "Heroes and Villains," which was stellar fun! I loved stopping by, "Heroes and Villains," as they had just opened when we last were in town and now have been in Cortland for a few years, which has resulted in them growing to have a nice selection of trade paperbacks/hardcovers, back-issues, and of course the latest releases. 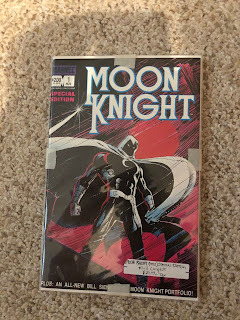 Whenever I visit a comic shop I am always impressed when they don't just carry the, "Big," titles but have a good assortment of smaller publishers too. "Heroes and Villains," of course had DC and Marvel titles, but also had a stellar selection of stuff from entities such as popular publishers IDW, Dynamite, and Image plus smaller but awesome companies including Alterna, Lion Forge, and local creators self-published books too! I had a wonderful time chatting with one of the owners about our feelings regarding the latest comic-book movies as well as the surprising fan backlash against, "Star Wars," that seems to have occurred lately. 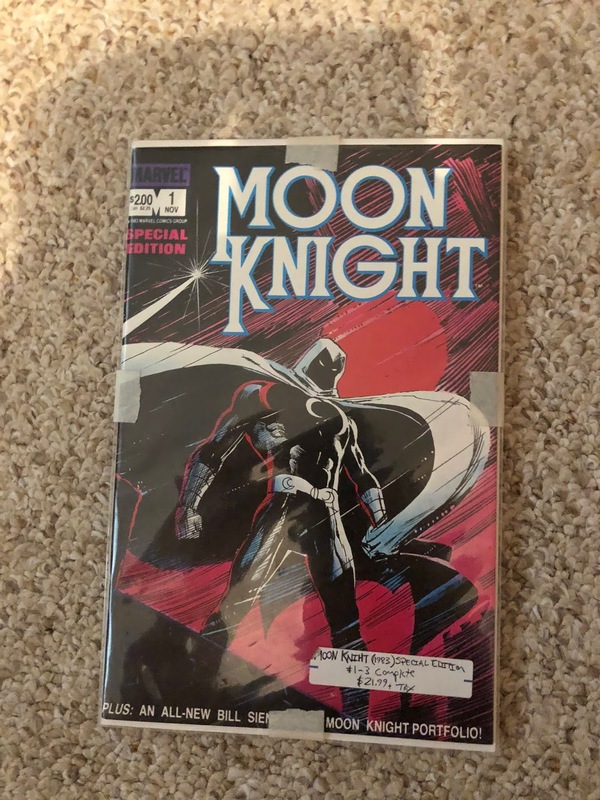 She was extremely helpful in assisting me in locating some titles I was after and I was super-pumped to buy a bundle-set the store had made of some old Moon Knight comics--which as anyone who reads this blog knows, I love me some Moon Knight. 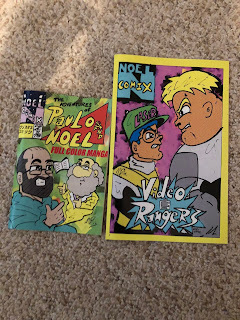 I also picked-up an assortment of back-issues including an old, "Cable," mini-series, and some manga-styled work from local creator, "Noel Comix." There was plenty of other pop-culture goodies as well including action figures, general fun fiction books, and of course my beloved Funko Pops. Plus, there was space for tabletop gaming and other fun events. 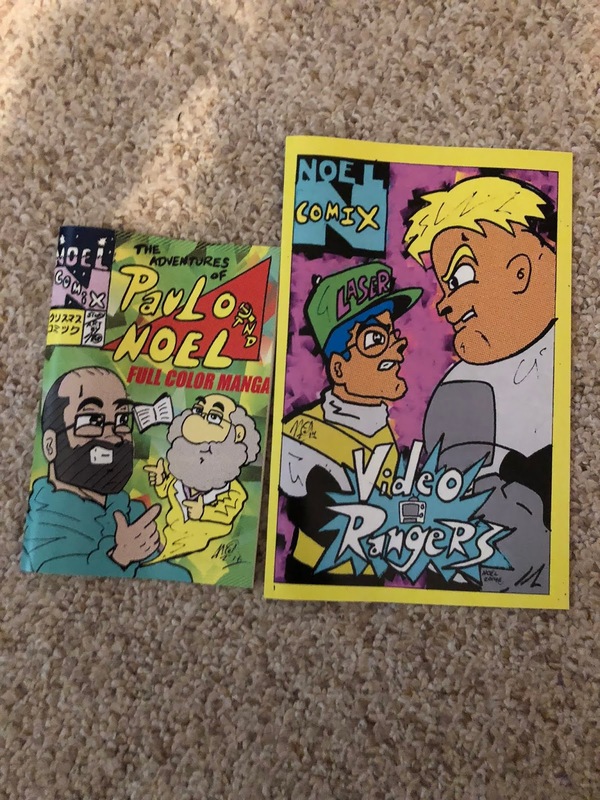 "Heroes and Villains," is a stellar local comic shop and my only complaint is that they didn't exist when I lived in town! That's alright though, as their being here now gives me a fun store to look forward to visiting anytime Samii, Clarkson, and I make the trek to upstate NY. I encourage you to check out their website here as well as their Facebook page found at this link. Anytime you're in or near Cortland be sure to give them a visit too, between their great selection and awesome employees they've got a delightful store for sure!